"73 year old male, low blood pressure"
In a change from the norm, I was sat blissfully relaxing on standby on the Fast Response Unit (FRU). It may have been a clapped out Vauxhall Zafira with a billion miles on the clock, help together with micropore tape, but it had a radio and the was a Michael Buble CD doing its thing! Oh, and I had a massive vanilla latte from Costa! Bliss! I couldn't moan too much when after two hours I was sent a job. It was a low priority call which the FRUs don't normally attend but it was accompanied with a ringing radio! "Whiskey Delta Four Zero go ahead." "This CAD you're running on, the is a private crew on scene requesting your opinion on a patient with very low blood pressure. They are not happy moving the patient until a paramedic gives them them OK."
Great! Another private! Based on recent experiences I should have been more than cynical but fair enough, they have recognised an ill patient and have asked for help. No complaints there, at least they have the patients interest at heart. I pulled up on scene, grabbed my bag and headed into the care home. I was taken by manager to the room where the patient was. As I walked down the corridor I heard a voice I recognised followed by the most heinous of laughs. The kind of laugh that is totally inappropriate in front of a patient. In the room was Tweedle Dum and Tweedle Dee, one with hands in pockets, chewing gum like Sir Alex Ferguson and the other sitting in the patients arm chair, leg on knee, on his phone. Standing next to the cot bed was the patients daughter and a carer. I was given the most vague of handovers, culminating in being told his blood pressure was 65/23. For those in the know, a BP that low is very serious. Very serious indeed. It would also be accompanied with other symptoms. There were none. With a BP that low you wouldn't expect to be able to feel a pulse. There was a VERY strong pulse. Attached to his arm was one of those blood pressure machines you can get in the chemist. "Is this what you used to take his blood pressure?" "So have you taken a manual blood pressure as well?" Are they for real?! I promptly did a manual blood pressure which was perfectly normal, 142/85 to be precise. I checked him over and he was fine. His reason for going to hospital was at a GP request for scan he was due to have. There was nothing acutely wrong with him. "Right guys, do you want to grab your chair, we'll get him downstairs now." "*chew chew* We'll just use one of their wheelchairs. *chew chew*"
Due to the patients disability I didn't think a normal wheelchair was ideal, as it wouldn't have any straps. Needless to say, my fears were ignored. Rather than get the chair himself, he sent the home manager to go and get it. Whilst waiting they continues to make stupid, childish, crass jokes. I was so embarrassed. These idiots are representing the NHS. When someone calls 999 they have an expectation of what an ambulance crew will be like. These two were a total embarrassment to the profession. After a few minutes, the chair arrived. "We're not lifting him, *chew chew* our insurance won't cover it. *chew chew* Use a hoist." The carer disappeared and returned with a hoist. She started putting the lifting sling on the patient and asked for assistance. I began to help from my side of the bed. 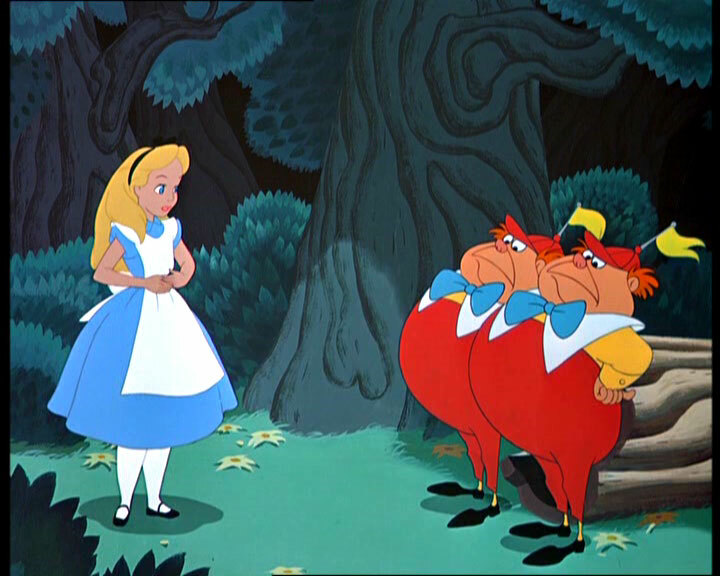 The carer asked Tweedle Dum to help on the opposite side. "*chew chew* Sorry, we're not allowed to help with hoisting, *chew chew* we are not trained in it *chew chew." So, I walked around the bed, helped get him in the hoist and between me and the carer, lifted him into the wheel chair. Tweedle Dee had vanished and I wasn't going to ask Tweedle Dum to bother pushing the chair so with my bag on my back, downstairs we went. In the lobby was Tweedle Dee with the bed. Wow! Pro-active, wonders will never cease. "Right, can we lift him across to the bed." "*chew chew* Nah, we'll use the hoist again *chew chew*." I'm guessing the "we" was meant to be ironic. 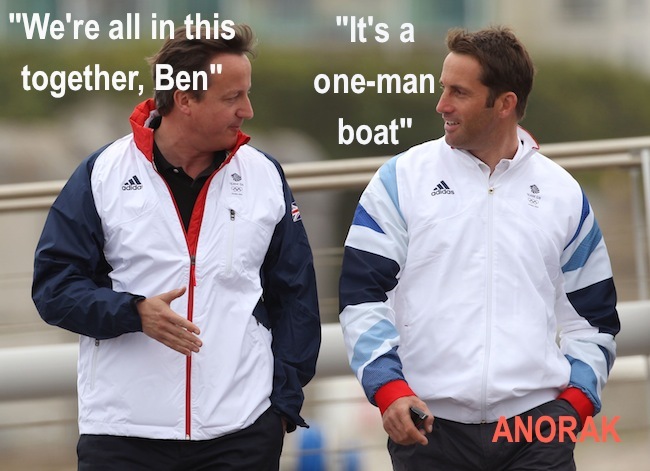 "Seriously, put the chewing gum in the bin or I will call and ask for another crew to convey, this is ridiculous." With that, I handed the patient to the carer, stomped off to the lift, went back upstairs, grabbed the hoist and went back down. They looked pretty sheepish but he wasn't chewing gum. Me and the carer hoisted him onto the bed and I strapped him in. 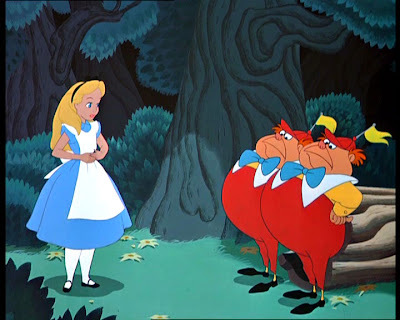 Out of earshot of the patient I turned to Tweedle Dee, "Can you push the bed?" "Yeah, no need to be sarcastic." The patient was loaded on board and taken off to hospital. If there had been anything wrong with the patient I would have travelled with them. However, as he was well and the hospital was half a mile away I just followed behind in my car. To say I had words with the crew at hospital would be a massive understatement. I told them exactly what I thought about them and their behaviour and took their names and call sign. Tweedle Dum wouldn't give me his name and just kept repeating his call sign at me. Since when are we not allowed to lift patients? What if there was no hoist, like in most places? I'm all for protecting my back, but really?! Insurance won't cover lifting a patient? Do we just leave them on the floor now? 'Sorry, not allowed to pick you up, you're on ya own luv'! Let us not forget, we are told by the government that tendering for contracts will lead to better competition and better patient care. The NHS certainly has its faults, that's no secret and it also employs some bad eggs but this is now getting dangerous. THIS is the NHS. THIS is the future. YOUR life in THEIR hands. NO regulation. NO standards. I'm sure I will told I'm taring all private ambulance services and their employees with the same brush unfairly and those who do, or know good people that work for them, I apologise. I have no doubt there are good people working in every company and this isn't about them. There is a reason people are sacked from ambulance services. These private companies give them a job in full knowledge of their past. As the old adage goes, you can't polish a turd. Sticking a new uniform on an unprofessional moron will not change a thing. A complaint was made. Outcome, unknown. 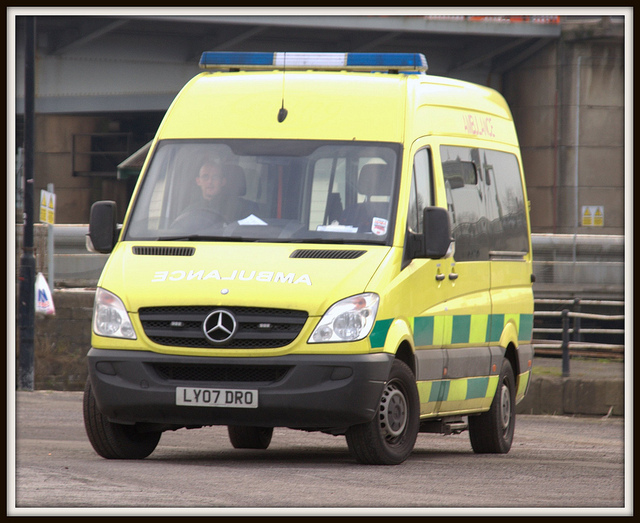 "An emergency service in crisis?" Yesterday, I read a brilliantly written blog by @NathanConstable entitled We Need to Talk About The Ambulance Service. If you haven't read it yet, please do so now, otherwise this post won't make much sense! He speaks about a lot of issues that surround the ambulance services in general and what knock on effects that has on the police. Rather than leave a long rambling comment providing my thoughts on things, I thought it would be better explained in a post of my own. I didn't take anything that @NathanConstable wrote as a dig. It is a discussion that needs to happen, but realistically, it needs to be happening between senior figures in the police, the ambulance service, the NHS and the government. I just wish they'd listen to what we are all saying, where we are not ruled by the politics of a situation! Like Nathan says, for all the inter-service teasing and banter that goes on (and before you ask, my call sign is Whiskey Delta 4-0. Oh, and fireman, hold these fluids, good dog!) 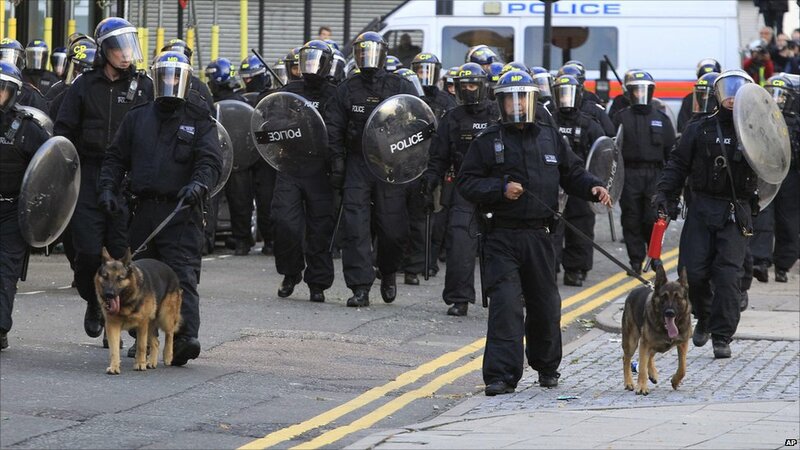 there is a mutual respect and a fantastic front line working relationship between all emergency services. We do many jobs with the fire service, some are the most traumatic of jobs we will every see. I do have a huge amount of respect for the job they do. The relationship between ambulance and police is a stronger bond, born from the huge amounts of jobs that we do together. 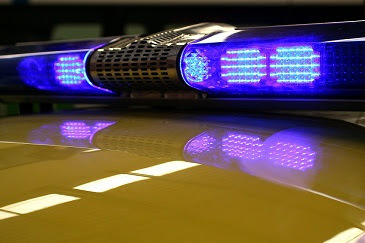 As detailed in 'A Special Relationship' I, along with the rest of the profession, hold the police in the highest regard. My first thoughts when I read 'The Ambulance Service is broken' was agreement. I nodded my head as I thought about what was wrong with the ambulance service. However, the more I read on, I came to a very different conclusion. Despite its failings with the relatively small things we moan about on a day to day basis (missing kit, hours, breaks, working conditions, pay bands etc), on the whole, I think the Ambulance Service is far from broken and I'll do my best to explain why. I can't argue with the fact that police are having to wait longer and longer for us. They do. Nathan gave 4 examples of waits he's encountered, but I'm sure he could list another 20 or so without any trouble. And that is probably only the last month or so! I also wouldn't struggle to list the police jobs that I have been cancelled on! THAT frustrates me. I know if I ask for the police, if there is a unit available, they will come. Far too often, we are cancelled for a 'higher priority' knowing full well that police will have to start the wait again. The problem however, I don't believe is caused by the ambulance service alone. It's caused by triage, call rate and hospitals. I'm not saying the ambulance service is totally blameless but it does feel from a front line perspective, that we are being pulled from all sorts of different places, meaning we can no longer function as an emergency ambulance service. Whilst police wait and wait and wait for us, on thing is for sure. Someone else is waiting to! So, hospitals. Nathan documented seeing 5 ambulances sat at the hospital due to lack of capacity. Well from experience, I'd say he caught them on a good night! Only last week I was stuck at a hospital with 13 waiting ambulances due to a lack of capacity inside. There were patients who could walk and who eventually went to the waiting room but the nurse in charge wouldn't take the hand over, so therefor we couldn't leave. This BBC article - http://www.bbc.co.uk/news/uk-england-norfolk-21999859 documents the problem well. No ambulance service could cope with all 17 of their emergency vehicles being stuck at 1 hospital. Due to huge fines for going on divert, hospitals don't. They just make us wait in corridors. Until the patient is off our bed, they don't become the hospitals patient so departments are in no rush to take the handovers, off a huge queue of ambulances. What's the result? The police are still waiting for an ambulance. It isn't just the police though. Whilst they are waiting, so are dozens of other people who have phoned 999. Is the ambulance service to blame for these delays? Call rate is another big problem. Year on year the call rate is increasing at an alarming rate. My service alone received over 1.7 million calls last year. Calls are coming not only from the public, but also from GPs, hospitals transfers, the police, the fire service and now the new 111 service, which has seen a huge spike in the need for resources. With government cuts to the budget, there simply isn't the money to replace the 25+ staff who are leaving each month. The crews on the ground are working harder and harder. We are being forced (with financial penalty) to turn jobs around quicker and quicker to try and match demand for the service. Our control room has just started a pilot, of refusing to send ambulances to some calls, in an attempt to ease the pressure. We simply don't have the budget or the resources that the police and fire service have and us such, the service is struggling to cope. Despite the calls volume and despite the delays at hospital, there will always be the eternal problem of triage. How does one call get priority over another? Why are the police told an ambulance is on route and then one never materialises? Triage! Calls are categorised, then re-catagorised. Crews are sent, then cancelled for a higher priority, then cancelled for another higher priority, as 200+ calls an hour continue to roll in! The issue is priority symptoms and the police are victims of their own common sense. When the police call and ask for ambulance back up they say exactly what they see and exactly what is happening and therfore a '20 something year old male with a head injury' which has had a dressing put on it by a police first aider will get trumped every time by a 35 year old female with a cough. Why? Because the general public know what buzz words to use. A cough is cough, but when they call, they say they have difficulty in breathing and when asked if they have chest pain, they say yes, because there is pain in their chest from coughing. Now, you have a situation where an ambulance and a car are sent to a '35 year old female, DIB and Chest pain' because those are the priority symptoms she flagged up. The same problem happens with 111. A simple headache becomes meningitis, prickly heat become anaphylaxis and so on. It is a world wide problem. People lie to get what they want and no ambulance service will ever risk NOT sending an emergency response to a DIB or Chest pain. That is, if all their ambulances are not sat at a hospital or busy doing critical transfers and the plethora of other things we are being called to. And who has to wait? Whoever told the truth! Again, I don't think this is the failing of a particular service, triage is there to get resources to the highest priority of calls the quickest. You rarely hear of there being absolutely no resource to send to a cardiac arrest. All it means is someone else is left waiting. The AMPDS triage system that is used, is modified world wide and if used correctly works well. Unfortunately, until a cure is found for liars, time wasters and hypochondriacs triage will remain an issue. One thing that Nathan spoke at length about was the amount of calls they attend to back us up. It's true. They do, and this is a failing of the service and of individuals. I have worked with a number of people who see the words 'mental health' and call the police. If the word 'assault' appears, the police are called and there is a case to answer for us never going to scene until police are there. Records of flagged addresses are woefully out of date, hence why I've been sent to an 80 year old with chest pain accompanied with armed police and ballistic vest! This needs to change but requesting back up at the first sign of trouble is often too late! As I detailed in 'Please Sir, Can I Have Some More' we are not even remotely equipped to deal with violence against us. The half day conflict management course really doesn't cut it. That job also highlighted how the police are stretched so thin that they also 'have no units to send'. Is the police service broken? I'd say no, but I would say, like us, they also struggle to deal with the demand placed on them by all and sundry! 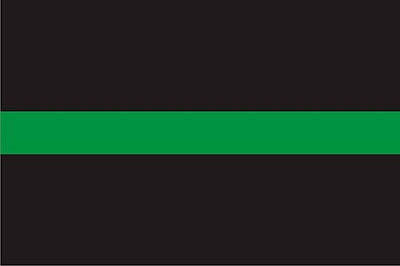 The public, the fire service, the ambulance service, mental health services and hospitals all call on the police and there will always be someone, somewhere, who is left waiting. And who is that? Probably the low priority who told the truth, the whole truth and nothing but the truth! Finally, there is the issue of the merger! Now, this was like a red flag to a bull and the only part of the blog I 100% disagreed with. I've made no secret of my distain for this idea in 'Fire Brigade: Hands off our service' and 'Unhappy Trumpton.....Bless!' . It is something that the fire service is keen on, but they are keen on taking on us rather than the other way round. If the fire brigade became part of our HART team then perhaps that would work but that would never happen. They are far too powerful an organisation to lose their identity for starters. You only have to look at the obscene budget they manage to repeatedly procure to see this! £50,000 on a coffee machine at HQ says it all! They have been after part of the ambulance service for some time, namely, to justify their resources. Their cuts under this government regime have been minimal in comparison to ours and the police. I can see no benefit in merging the police and fire and just as little in merging ambulance and fire. I does work across the pond but a) that's how it has always been so the infrastructure is there and b) with the ability to charge for all emergency calls, you can pay for the resources to cover call volume! The more calls, the more money. 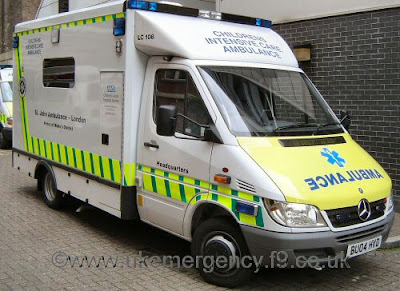 Over here, with the ambulance service deeply embedded within the NHS and with the lack of emergency service status, I can't see it ever happening. This has been a great opportunity to discuss the failings and trials this countries emergency services are facing and I'd like to thank Nathan Constable for writing such a great post. I don't see them as failings. They merely highlight the detrimental effect this government regime is having. I don't think the ambulance service or the police service in this country are broken. Not by a long shot. I think they both perform admirably and perform over and above what their resources, diminishing budgets and demoralised work forces probably should. And THAT is a testament to individuals who turn up when someone phones 999. It's an honour to be part of the team. "12 year old male, rash on body"
My first thought was 'as opposed to the rash not on the body'! Lucky I had arrived to work early as is the norm because even with the best will in the world, I couldn't have signed in, drawn out drug packs, morphine, got my bags from my locker, checked the vehicle over and been ready to go in 17 seconds as they had hoped. That is why we are all compelled to come in half an hour early, unpaid, so we can be ready to go when the first job comes in. 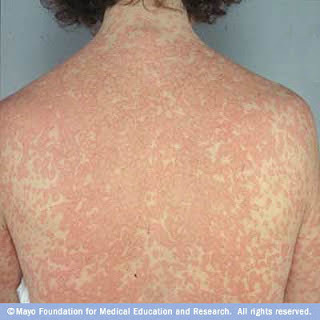 99% of calls that involve a rash are minor, that is, if it is even visible. Very rarely it will an allergic reaction, even rarer it will be anaphylaxis and even rarer than that, it will be meningitis. Due to the latter two, in children especially, most calls with the word 'rash' are given a high priority of call to be on the safe side. I think this is a good thing, especially as even the most calm and reasonable of panicking parents don't want to answer multiple questions about the rash, they just want an ambulance. Also, if it is serious, time really is of the essence. Needless to say, we weren't very panicked! We weren't judging the call but the in the information we had there were no priority symptoms like difficulty in breathing or swollen lips etc or anything that would lead us to think the patient was going to be particularly unwell. Oh how wrong you can be! We pulled up outside the house to be greeted by 'that frantic wave'. You know, the wave I have mentioned before that tells you something isn't right and you really need to get a wiggle on. I followed the mum through the front door straight in the lounge. The boy was just wearing his underwear which enabled me to see most of his skin. Every part of him was bright red and covered in the worst hives I have ever seen. His face was swollen and he was in untold discomfort. He stood up and rushed to the toilet. It turns out he also had uncontrollable diarrhoea. Although his tongue wasn't swollen and he denied struggling to breathe I felt his condition was bad enough to treat for anaphylaxis and after a brief conversation with our Clinical Support Desk they agreed. Once I'd decided what we were going to do, I then had to do it and this is where the second guessing begun! It is very rare to have to cannulate a child and if we had been 5 minutes from hospital we'd have just run but the fact it was longer and the fact his rash was getting worse by the second I wanted to try for a vein before they all completely vanished. The panicked parents didn't help my nerves. I got everything prepared but suddenly became 'a dropper'! More by luck than judgement the cannula was successful. I then checked and double checked dosages for the drugs I was giving. Whilst I was cannulating my crew mate had drawn up and administered the Adrenaline into his muscle and had given full flow oxygen. I then gave some Chlorphenamine (Piriton) and Hydrocortisone and we left. I felt very conscious that I was shaking slightly, and even managed to drop the radio when putting in the blue call! How embarrassing! We arrived at the hospital and went straight into resus where the team of paediatricians were waiting. There had been no improvement from any of the drugs we had given and his rash and breathing were now notably worse. At least he was in the right place, and I could breathe! "5 year old female, allergic reaction, known allergy to nuts, has ingested nuts, swollen tongue, DIB"
I'm sure I was out of the vehicle before it had stopped moving. The kid was conscious, just, but extremely floppy. We got her straight on to the bed, dad at the head end, mum next to me and crew mate moving around in any space available. The fact she was so compliant said a lot. Hardly any whimpering, all her energy was concentrated on breathing and that was a clear struggle. She got high flow oxygen a nebuliser, IM adrenaline followed by hydrocortisone & chlorphenamine a few minutes later. I didn't even look for a vein, she was so small and we were only a few minutes away from hospital so the latter drugs were given on-route into the muscle. If the last job had scared me, this one terrified me, but in a different way. This time, I knew I'd done everything quickly accept in my head I was planning a resus. She was that bad. 9 minutes after arriving on scene we were at the hospital again and for the second time in 45 minutes the team of paediatricians had seen me rush in with an extremely ill child! Only difference was this time I was a lot calmer. Amazing what effect the lack of doubt had on my ability to hold things steadily! We weren't even two hours into the shift and I was pretty much out of drugs and totally exhausted! Once the paperwork was done and signed I called up control. "Red base, due to the last two jobs we are all out of drugs, can we start heading back to station to re-stock please." "Rog, no probs, start heading back and we'll try and leave you alone." "10 year old male, allergic reaction, eyes swollen"
Of course it is, what else was it going to be?! The one thing we can't deal with is the one thing we need to find a way to deal with! "Red Base, we have no drugs to deal with an allergic reaction. Is there a Hotel car running on this?" "Rog, they are 3 minutes away." 'Hotel' is ambulance jargon for paramedic and I don't know the origin of it. If there is a paramedic on a vehicle it becomes a Hotel crew. Anyway, we pulled into the road just before the car and I took great pleasure in ticking the 'first on scene' box! Like we had done twice already we jumped out and headed in. This time it was slightly calmer. The boy had a huge swelling under his eyes and a rash over his torso and arms but wasn't too unwell. It was very itchy and causing him a lot of discomfort so thanks to the FRU, we gave him some Chlorphenamine which worked well and within 10 minutes the itching had stopped and the rash was decreasing. By this point we were back at the hospital where we handed him to the waiting paediatrician who looked at me and laughed! Patient 1: As of 8 hours after we arrived he was still in a very, very bad way. The doctors didn't know the cause and despite a list of drugs and therapies as long as my arm he hadn't improved. The kid was awaiting a transfer to a specialist hospital. I won't find out how he did. Patient 2: Fine and dandy, sent home 6 hours later and told to stay away from the macaroons. Patient 3: Discharged 4 hours later with another washing product to add to the list he is allergic to. Kids eh! Aren't they fun!